Download and install a very useful tool known as SamFirm. It helps you to download latest firmware of your Samsung phone and tablets. Latest and updated version of Samfirm is avail to download directly from this webpage. 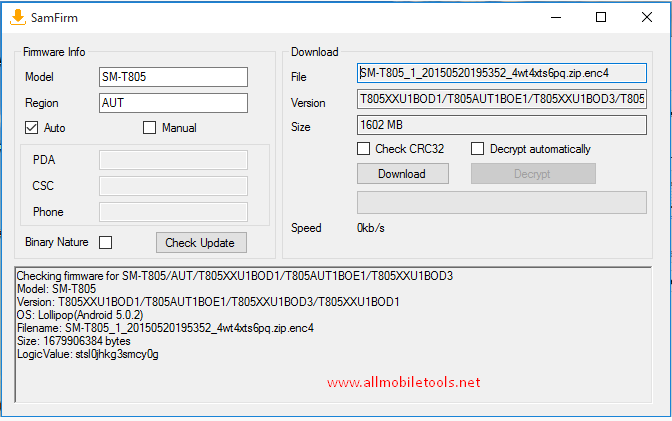 If you want to download latest firmware for your Samsung device, then this tool is most helpful for you. Download links for Samfirm is given below. Follow the links to download Samfirm full setup installer for windows now.